Electric is a premium WordPress theme that suits perfectly for a wide-range of different websites. This versatile multi-purpose WordPress template can be used for all kinds of different niches, for example business, shopping, portfolio, creativity and many more. 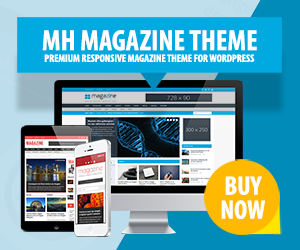 This multi-purpose theme comes with several portfolio layouts to present your work in best possible way and you can opt in for a sticky header with six nice header styles to choose from. Besides, there are some more awesome features included, like mega menu builder or font settings with live view.